The official journal of ADSA, SASPEN and NSSA. 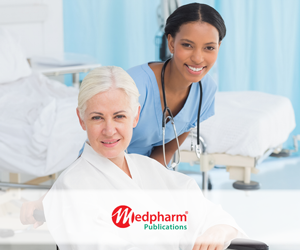 The South African Journal of Clinical Nutrition (SAJCN) is the official journal of the Association for Dietetics in South Africa (ADSA), the Nutrition Society of South Africa (NSSA) and the South African Society for Parenteral and Enteral Nutrition (SASPEN). 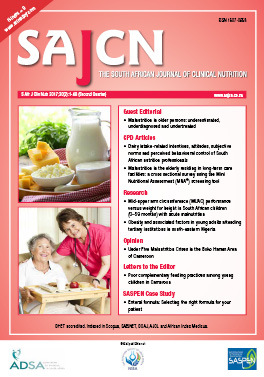 Dietitians and nutritionists rely on the SAJCN to provide them with review articles, case studies and original research, written by key opinion leaders on a wide range of topics, including clinical nutrition, community nutrition, food science, food policy, food service management, nutrition policy, and public health nutrition.